Daily Digestive Balance is a dietary supplement which is specially designed to boost the user’s immunity and improve the digestive health. This supplement introduces healthy colonies of bacteria in your gut, which are useful in maintaining a healthy balance of good bacteria and help protect you from abdominal discomfort. This supplement absorbs faster to start working immediately and serve you with excellent and instant results. This supplement will help to increase the rate of nutrient absorption thus helping in boosting the overall body health. It is manufactured using all natural ingredients, and it is free from soy, gluten, dairy, and GMOs. Regular use of this supplement will give amazing results and make you live a better and healthy life. It is available in the form of a vegetarian capsule which is suitable for use by allergic individuals. The company behind the manufacturing of this supplement is known as Probiogen. This company is known for producing a line of health supplements, and it is aimed at improving the overall health. This company uses quality and natural ingredients. The manufacturer of this formula has involved microbiologists to ensure their product is of high quality and it works as it claims. Using this formula claims to improve digestive health, increase nutrient absorption, boost immunity and improves overall well-being. Bacillus Subtilis – It helps to fight harmful bacteria and boost immunity. Bacillus Clausii – It have an excellent tolerability, and it survives even in the presence of antibiotics. It supports inflammatory responses. Bacillus Coagulans – It improves the digestive health and helps to reduce bloating, gas and digestive discomfort. S. Boulardii – It helps to relief from stomach discomforts. Is the supplement applicable to children? This supplement is safe for use by an individual of all ages. Use of this supplement is not associated with any side effect. Daily Digestive Balance is designed to help improve the digestive health and boost overall wellness. This supplement is manufactured using all natural ingredients, and it is free from soy, gluten, dairy, and GMOs. It is available in the form of a vegetarian capsule making it suitable for use by allergic individuals. This supplement can be used by people of all ages without causing harm. 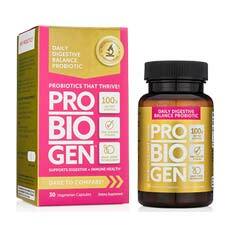 Using this supplement may help to maintain a healthy balance of bacteria in your gut and increase nutrient absorption. It may also help to relieve you from abdominal discomforts and boost the immunity. However, the market has numerous supplements which claim to work the same as this one, and you should make a comparison and go for the best. All of the cells and tissues in your body and your major organ of detoxification, the liver rely upon your colon. 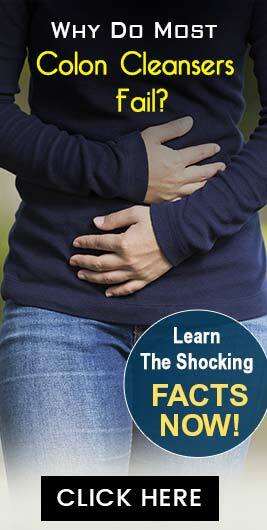 The colon processes waste and bacteria preparing it for elimination from the body. Colon cleanse products should be determined based on its: potential to clean the colon of harmful waste & toxins, potential to promote better digestion & increase elimination, potential to promote improved immune system function, potential to provide increased energy levels. The quality of the ingredients should be backed by clinical research. Read about The Top Rated Colon Cleansers of the Year 2019.